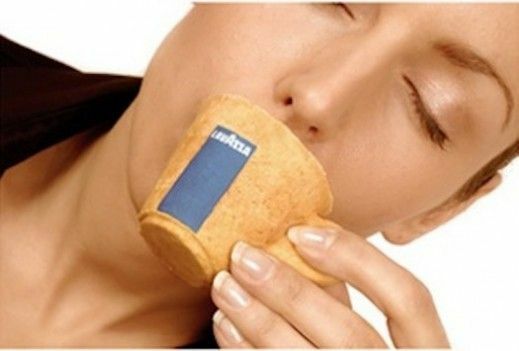 Cookie Cup: "Sip the coffee then eat the cup"
The famous Italian coffee brand Lavazza, known for its passion for design, is about to unleash the ultimate coffee experience – a “cookie cup”. The cup is made of pastry covered with a special icing sugar, which works as an insulator, and makes the cup waterproof hence allowing you to use the cup and then appreciate its taste, so to eat and drink coffee along with a biscuit at the same time. This cup was designed by the Venezuelan designer Enrique Luis Sardi. Such a cool idea: I am looking forward to try it! « Strings with tomato sauce ?? ?